Dr. Mikko Karttunen, from the University of Western Ontario, will be speaking at McMaster tomorrow in the Physics and Astronomy seminar. He worked on a recent paper titled Microscopic Mechanism for Cold Denaturation in which they used computer simulations to determine that the highly ordered structure of water at subzero temperatures caused protein denaturation because the shell water molecules were more strongly bound to each other than the polar hydrogens on the protein exterior. I’m interested in this work from the perspective of life in extremely cold environments. Would the presence of salts inhibit this mechanism of denaturation? Ammonium? How does this change in solvation affect other biochemicals like lipids or polysaccharides like EPS (extracellular polymeric substances) which are thought to aid in the cryoprotection of microorganisms surviving at low temperatures? 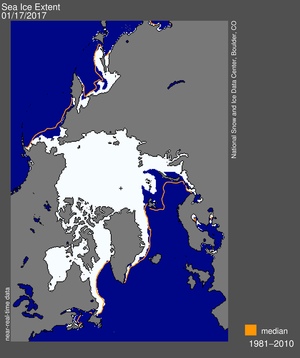 It might be interesting to re-run these models, doped with 1-7% Na+ + Cl–, the atomic concentrations of salt at seawater salinity and in sea ice brine at -23 deg Celsius. In another paper from the same lab (Control of Calcium Oxalate Crystal Growth by Face-Specific Adsorption of an Osteopontin Phosphopeptide) they investigate biomineralization and protein-mineral interactions. This work is interesting from the Origins of Life perspective because the earliest biological systems were probably heavily reliant on minerals to perform the catalysis of reactions important to nascent biochemistry. Because one of the problems in identifying a pathway for the origin of life lies in constraining the near infinite number of possible chemical reactions that might take place under given reaction conditions, if it were possible to use molecular models to predict chemical reactions that would be likely to proceed on various mineral surfaces it would help limit the scope of all potential reactions that would need to be investigated in order to derive a ‘most parsimonious path’ from non-life to life.